Both crabs and crustaceans are of the phylum Arthropoda. In fact Arthropoda encompasses almost 75% of all animals’ on this earth. By definition arthropods are invertebrates, meaning they lack a backbone. Arthropods are characterized by segmented bodies, jointed legs, and a hard exoskeleton. 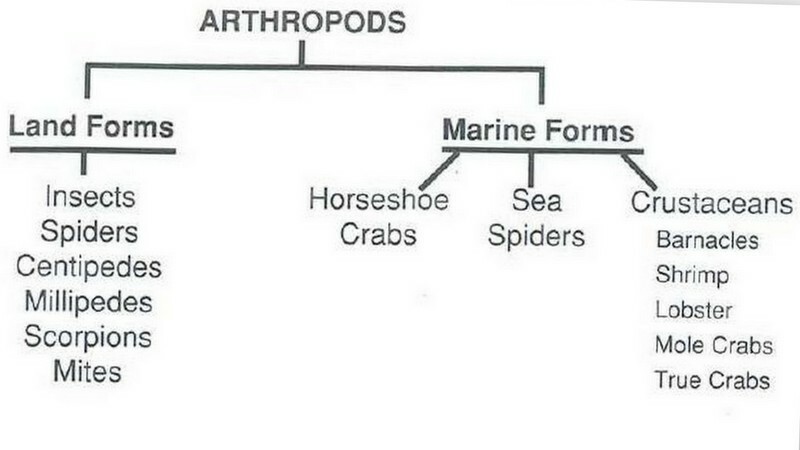 The land forms of arthropods include scorpions, spiders, and most insects while the marine forms are divided into three distinct groups – Horseshoe crabs, Sea Spiders, and Crustaceans. 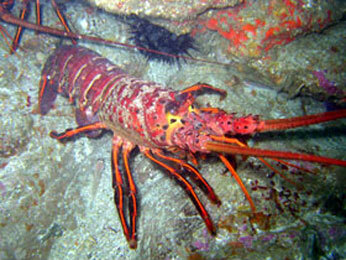 Crustaceans include barnacles, shrimp, lobster, mole crabs, and true crabs. A few defining characteristic of crustaceans include their ability to molt (shed their shell), Metamorphoses (change body form during life stages), and regenerate (regrow lost limbs). Blue crabs, stone crabs, and fiddler crabs are just a few examples of true crabs and are characterized by a short tail that is folded under the body. Barnacles are small volcano-shaped animals that are sessile in adult form and therefore must utilize filter feeding. Mole crabs are small egg-shaped animals that inhabit the swash zone. They are an important link in the ocean food chain as numerous animals feed upon them. Shrimp and lobster appear to have a similar body form with the abdomen (tail) stretched out behind them. Horseshoe crabs are one of the oldest known living species of animals on earth, it is believed that the lived in the ocean more than 600 million year ago. 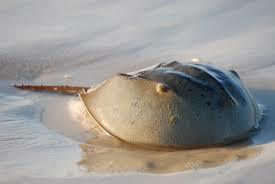 Horseshoe crabs are so old they are in a class of their own. Though menacing in appearance they are actually rather docile.